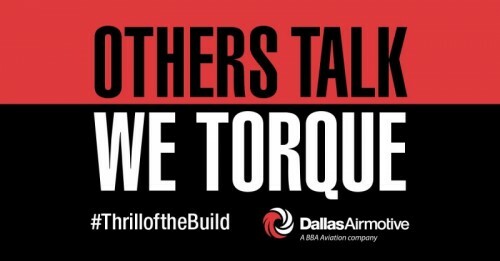 Dallas Airmotive introduced the Thrill of the Build event at NBAA 2014. The event was designed to highlight Dallas Airmotive’s extensive MRO expertise and innovative capabilities. It was a great success and we are bringing a new Thrill of the Build event to NBAA 2015 in Las Vegas. The 2014 version of the event highlighted Dallas Airmotive's expertise and in-shop capabilities with the PT6 turbine engine. This year the event will showcase the innovative capabilities Dallas Airmotive's industry leading field service team brings to market. There when you need us. There where you need us. If you missed the Thrill of the Build event at NBAA 2014, you can watch the compressed video below. Three Days. One Engine. In just over two minutes. Follow the action on social media #thrillofthebuild.